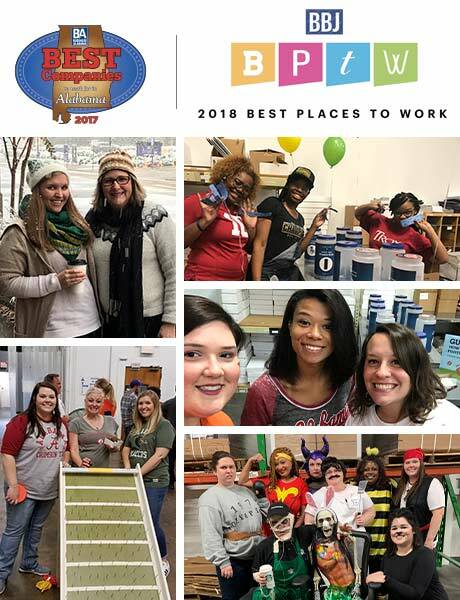 Career Opportunities: A Birmingham Best Place to Work | Main Street Inc.
At Main Street, Inc., we believe our people are our strongest assets. Main Street is large enough to provide our team members the support and tools needed for personal and professional success. But we’re small enough for each individual team member to be recognized and valued for their contributions to our growing business. We were proud to be named as a Top 10 finalist in the large employers category in the 2018 Birmingham’s Best Places to Work contest and as one of the best companies to work for in Alabama (2017) by Business Alabama Magazine. We are pleased to be able to offer our full-time employees a comprehensive benefits package that includes medical, dental, vision, disability, and life insurance; flexible spending accounts; 401(k) retirement program; paid time off (PTO) days based on tenure; and more. Main Street’s Activity Committee keeps us engaged with each other and the community with regularly scheduled events throughout the year.